The community of La Loche, Sask., is reeling from Friday's shootings that left four people dead. On top of that tragedy, the community has seen hardship before. Don Herman faced the school with a rosary in his hand. He looked past the police tape that surrounded La Loche Community School in La Loche, Sask. He was praying for his nephews, Dayne and Drayden Fontaine, who were two of the four people killed in a series of shootings that wounded seven others in the northern Saskatchewan community on Friday afternoon. "It's hard to talk about," he said. PHOTOS: Hundreds turn up for vigil in La Loche, Sask. Male, 17, charged with 4 counts of 1st-degree murder in La Loche, Sask. On top of Friday's tragedy, the community has seen hardship before. The town, with a population of about 3,000 people, has the highest suicide rate in the province, and it's three times the national average. Inside the school Herman was focused on, the lives of two teachers, Marie Janvier and Adam Wood, ended. A 17-year-old male suspect has been charged with four counts of first-degree murder and seven counts of attempted murder. But the school is not where Herman's nephews were discovered dead. 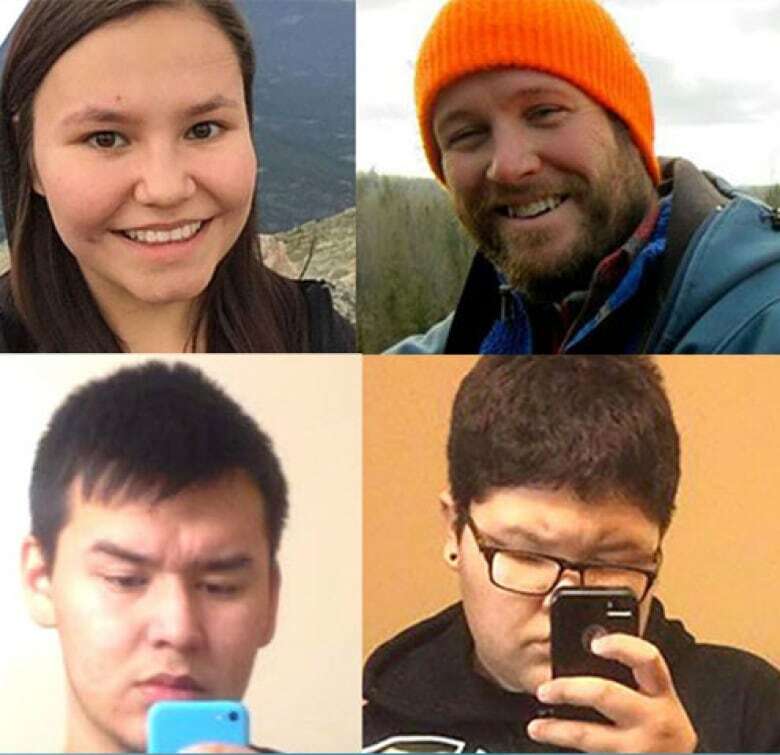 They were found inside a home in the 300 block of Dene Crescent, where more police tape and RCMP officers watched over the home that backs on to Lac La Loche. The only activity in the yard were two puppies playing, indifferent to the police tape. Next door, Dorilda Piche stood on the steps of her home. She said she watched Dayne and Drayden go to school everyday. She is close with her neighbours and described them as quiet and friendly. "It's kind of hard to express because I'm still kind of in shock," she said, holding back tears. Words weren't needed. Sadness was the expression she wore on her face. Darius Piche was inside the school when the gunfire broke out. He described Friday as "an average day that went horribly wrong." Many in the town attempted to do what they did on an average Saturday — buy groceries, get gas, or go to work, like Katelyn Janvier, who works at the Northern Store. "There are no words to describe what I'm feeling," the 19-year-old said. "It's a tragedy." "This is a wound in the heart of Canada, we are one family and when one is killed or wounded we all feel pain." — a comment from Anne Ashford-Hall on our CBC Forum chat on La Loche. Read the full discussion here. A heartbreaking tragedy. A tragedy piled onto many other tragedies. Herman said the town has been "quiet for awhile." Meaning, the last suicide in the community was last fall, he said. "These are our future," Herman said. "We've been losing teenagers. Mostly teenagers that should be our future, but we see them in the graveyard now. Compared to 10 years ago, it wasn't like that. Now we barely have any room at the graveyard because of suicide, tragedies like this." Herman said the community won't get over the tragedy anytime soon. "It's going to be in our hearts for the rest of our lives." Hundreds turn up for vigil in La Loche, Sask.